Enjoying Netflix’s hit series Narcos? Keen to check out the real life locations depicted in the show? 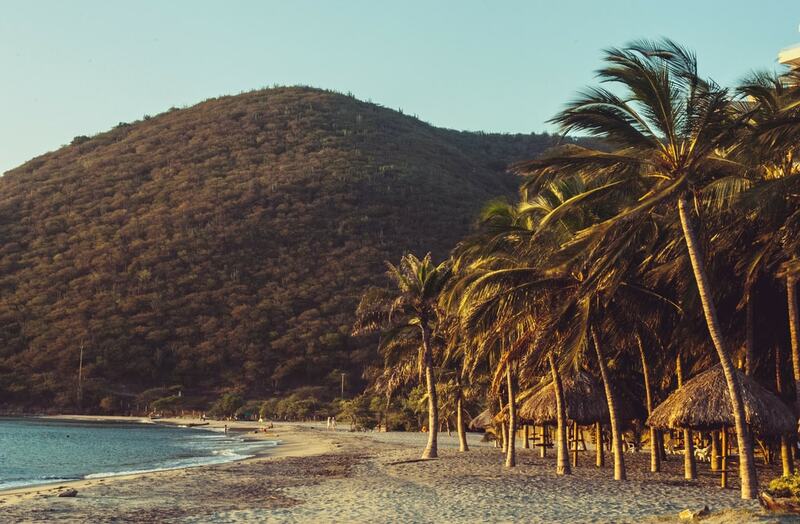 Then Culture Trip have you covered with our top 15 destinations that Narcos fans need to have on their Colombian itinerary. Word of warning though, most Colombians hate the show so try to keep your obsession on the down-low. 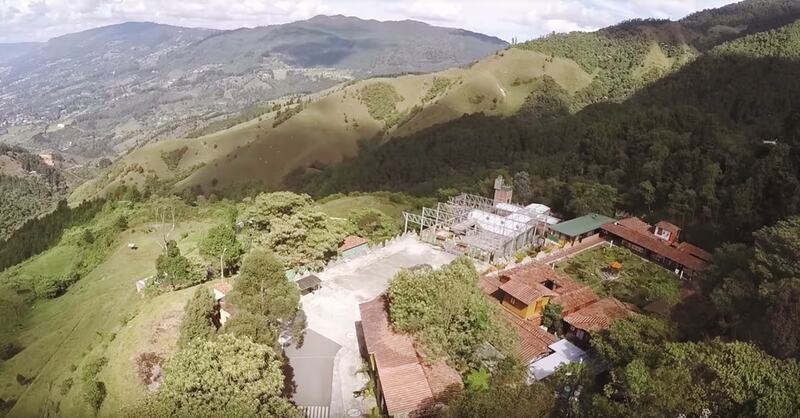 The vast country estate which served as the Medellin Cartel’s headquarters is open to the public, albeit these days more as a theme park than a narco attraction. Escobar’s manor has since been demolished, though relics such as his helipad, bullfighting ring and herd of hippopotamus are still on display. This former prison where Escobar was incarcerated used to be, as fans would know, akin to a luxury resort. Once dubbed “Club Medellin,” it had everything the cartel needed to run their business in style. Nowadays, the Cathedral is owned by Benedictine monks who run a nursing home for the elderly. 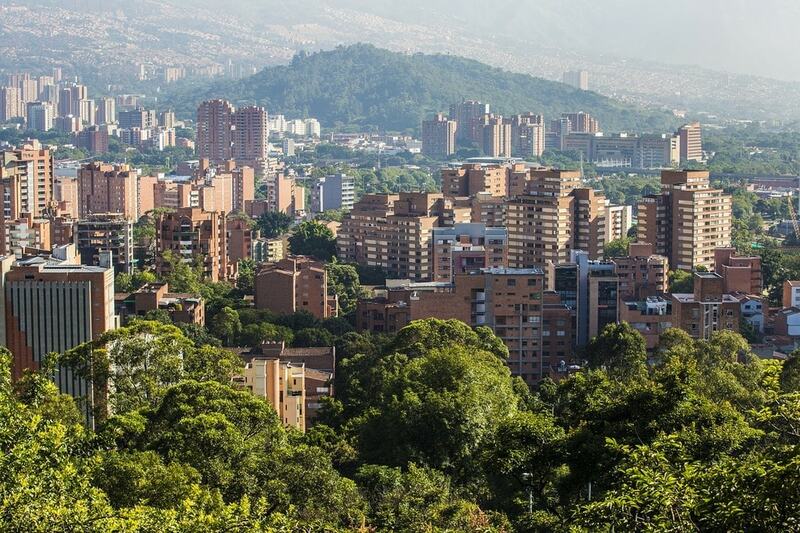 A visit to Medellin itself is enough to evoke images of your favorite TV series. Jump on the teleferico (cable car) for unbeatable views of a city that has come a hell of a long way since the dark days of narco-terrorism. The Medellin neighborhood where Escobar invested huge sums of cash to curry favor with the locals is one of the few places where he remains openly admired in the country. 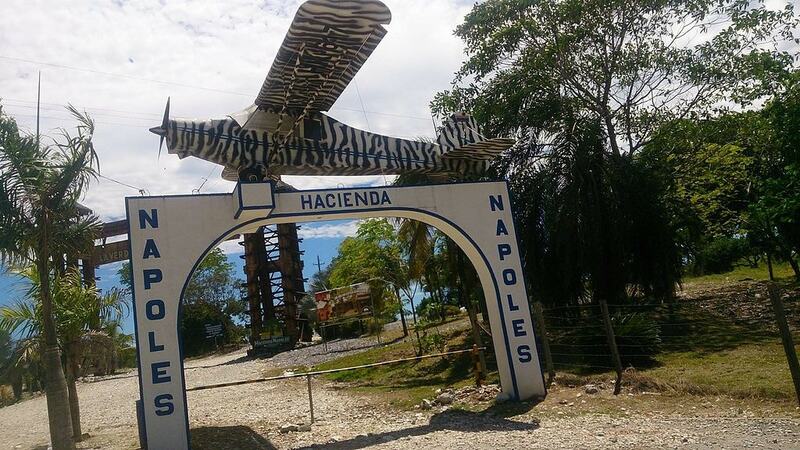 Although the series was actually shot nearby, a visit to the real Barrio Pablo Escobar is a must for any Narcos fan. 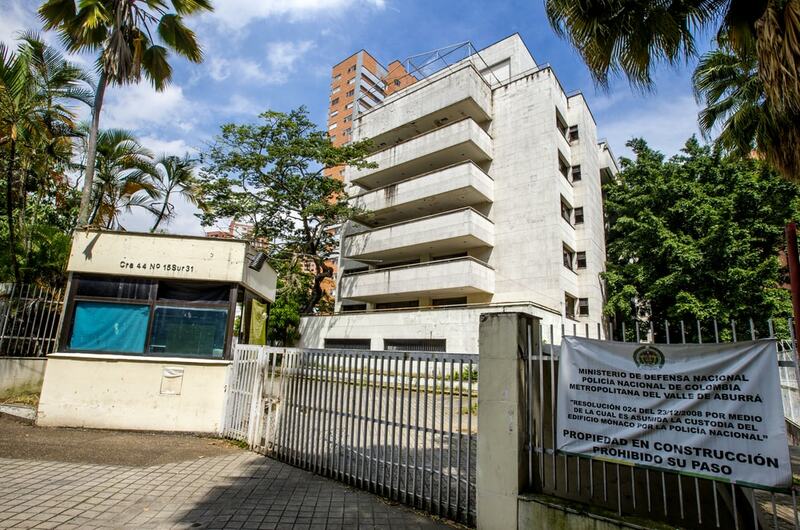 Located in a plush Medellin neighborhood, rival Cali Cartel bombed the Monaco Building in 1988 in an attempt to assassinate Escobar. Tours are no longer allowed inside the apartment block, meaning fans can only take a peek over the fence. Netflix filmed the rooftop death scene just two doors down from the original site which had since been built over. This residential street still attracts visitors, but try to keep a low profile as locals aren’t particularly fond of the attention. 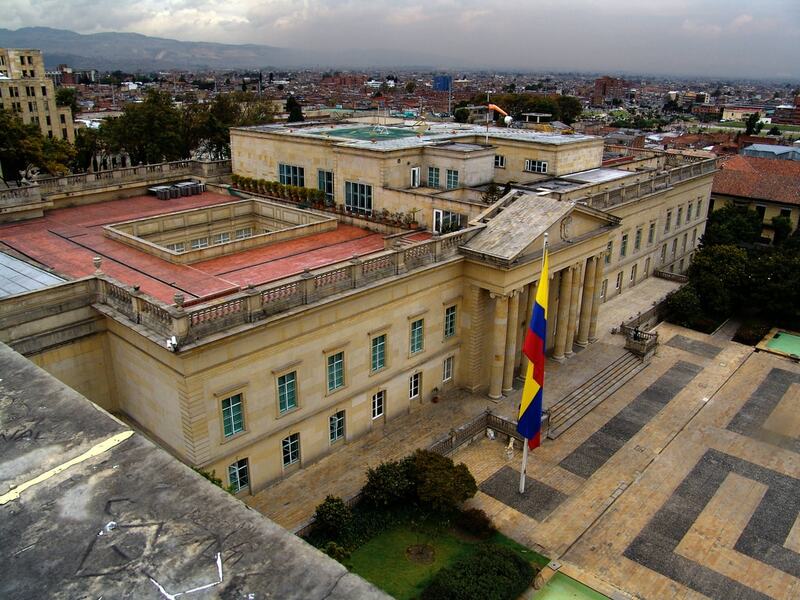 Colombia’s presidential palace in downtown Bogota features predominately in the show, most notably when President César Gaviria declares a state of emergency in response to his country’s narco-terrorism woes. Remarkably, Netflix were granted special permission to film inside the complex. Remember the episode where the M-19 raided a big government building in an effort to destroy evidence against Escobar? 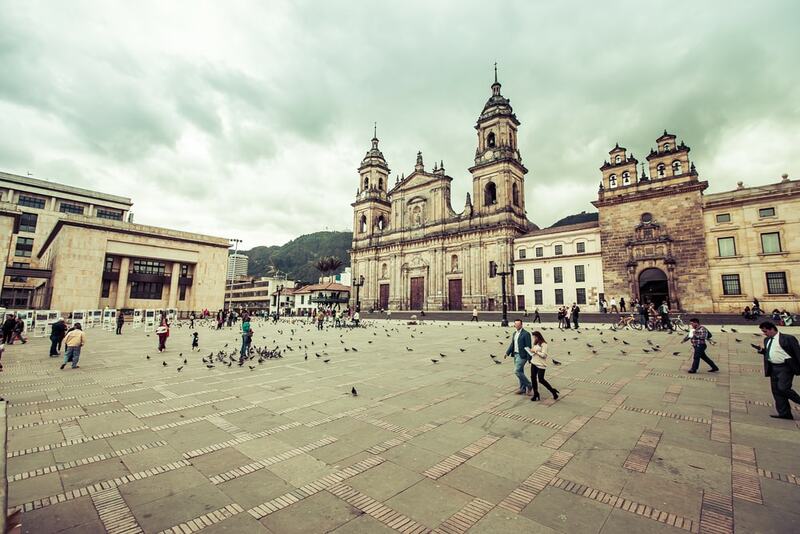 That was the Palace of Justice in central Bogota, parts of which had to be rebuilt after the deadly siege. 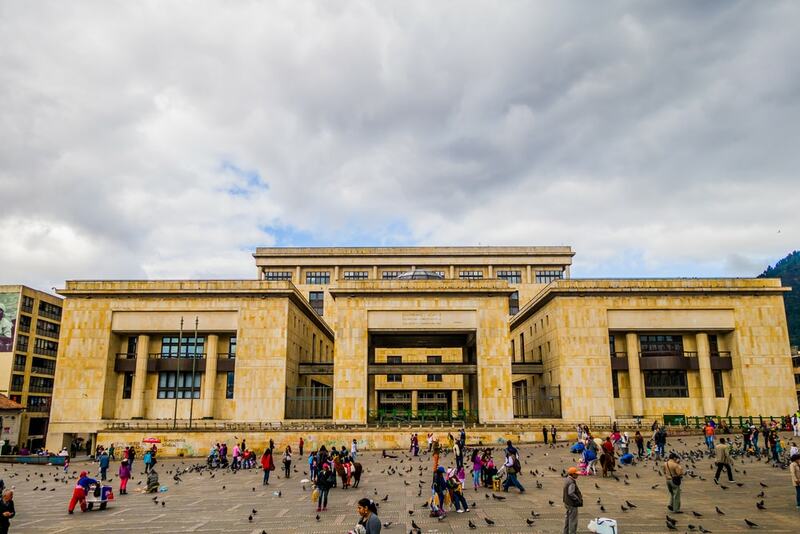 Although it doesn’t exactly play a pivotal role, several scenes are set within Bogota’s main plaza which is just a short walk from the Casa de Nariño and Palacio de Justicia. 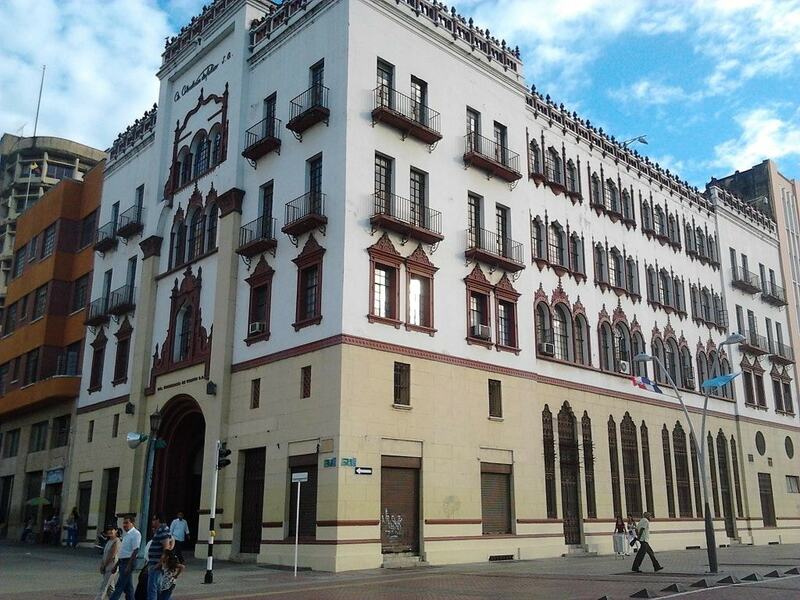 Bogota’s art deco-styled historical center has appeared numerous times throughout the show, most memorably when DEA agent Javier Peña meets with Colonel Horacio Carrillo and when Marta Ochoa was kidnapped by the M-19. 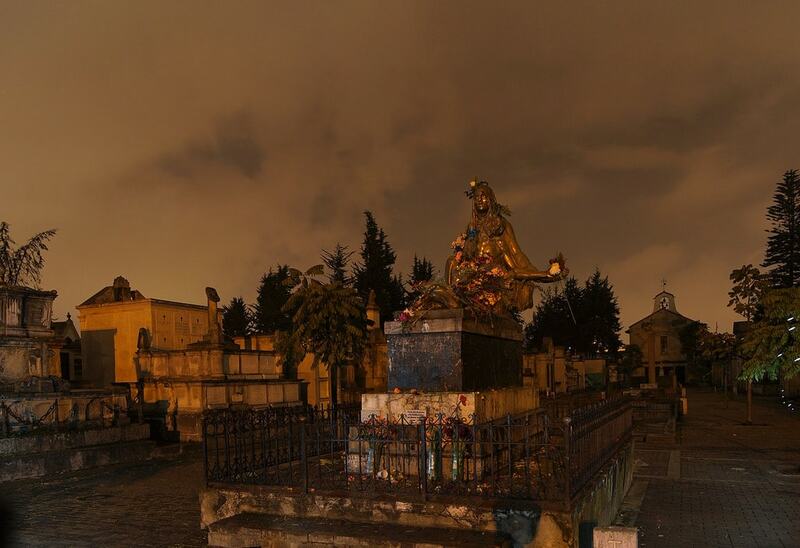 Bogota’s Cementerio Central features briefly during the funeral of Luis Carlos Galán. But for a more historical narco gravestone, check out Escobar’s modest lot in Medellin’s Cemetario Jardins Montesacro. Just don’t be tempted to snort lines of coke of his tombstone like some cringeworthy backpackers have reportedly done. 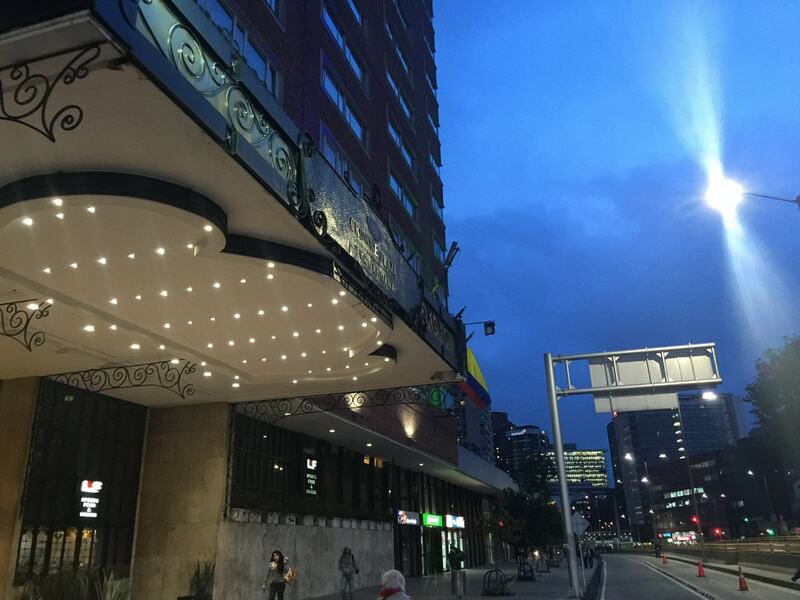 Towards the end of the second season, Escobar’s family were hiding out in the lush Hotel Tequendama. The hotel is still open and taking reservations, though we’re not quite sure which room his wife and kids were holed up in. All those stunning shots of pristine beaches in lush tropical surrounds? Those were in and around Santa Marta, a beautiful colonial city which is now Colombia’s premier seaside resort. Most of season three was shot on location in Calí, including numerous city landmarks such as the picturesque Coltabaco building. 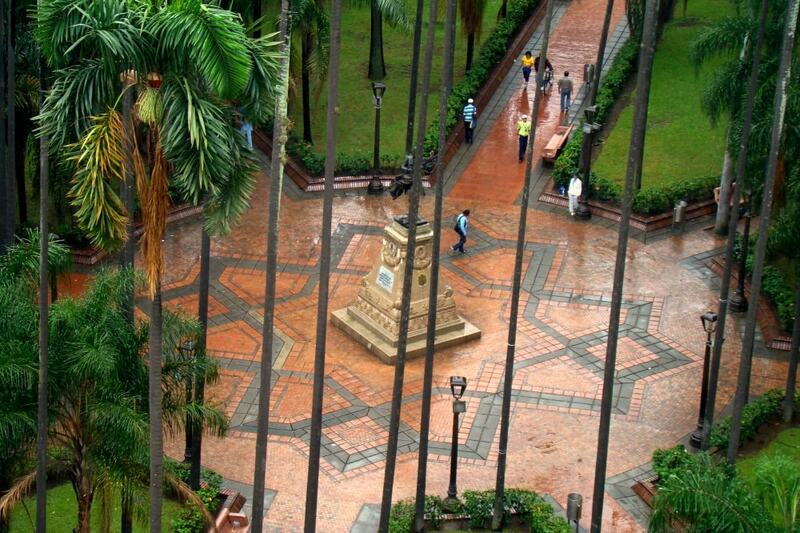 Right in the heart of downtown Calí, this plaza is famous for its impossibly tall palm trees and featured on several occasions throughout season three. 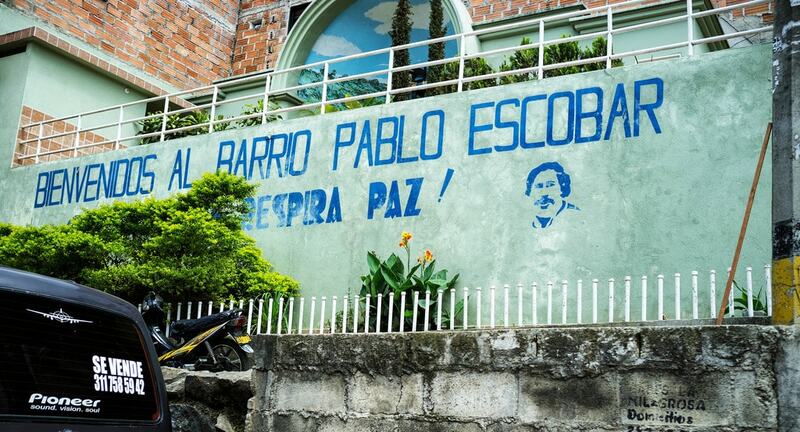 A number of day tours cover the most important Escobar sites in Medellin. Need some South America inspiration? Here are the best spots for backpackers on the continent.